Every great project must start with exceptional design. We carefully listen to your ideas and desires, then add our expertise and creativity to assure your project brings you joy for years to come. Using 3D CAD software we can show you how your completed project will look. 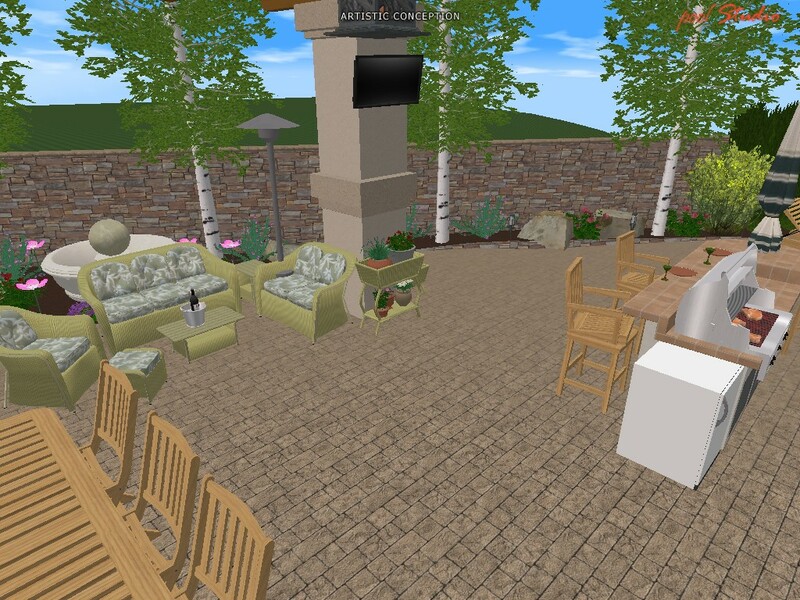 As you virtually walk through the landscape, you can see every detail and explore options in lighting, plants, and colors! Now is the time to experience the power of Pool Studio, the industry leader in professional 3D swimming pool design software. See for yourself why Pool Studio is the first choice of top industry professionals for fully interactive 3D swimming pool design software. Take advantage of Pool Studio’s real time 3D design system to save you time and increase your profits on every swimming pool project. Pool Studio is the complete software solution for swimming pool design. Our “Instant 3D” design system allows you to seamlessly design in 2D, present in stunning 3D, and then print build ready construction plans. Pool Studio is the proven sales advantage featuring the most advanced 3D swimming pool design system available today. Get started with the Pool Studio advantage now. Let Innovative Rock & Water and 3D Pool Studio to create your ideal landscaping project without even breaking ground. This allows for unlimited versatility and a nearly instant product. Please Contact Us if you have any questions.